Bouchra Khalili is an adventurous photographer and video artist and it is worth spending a long time watching the six series of videos and many more photographies of this fascinating show at Musée du Jeu de Paume. 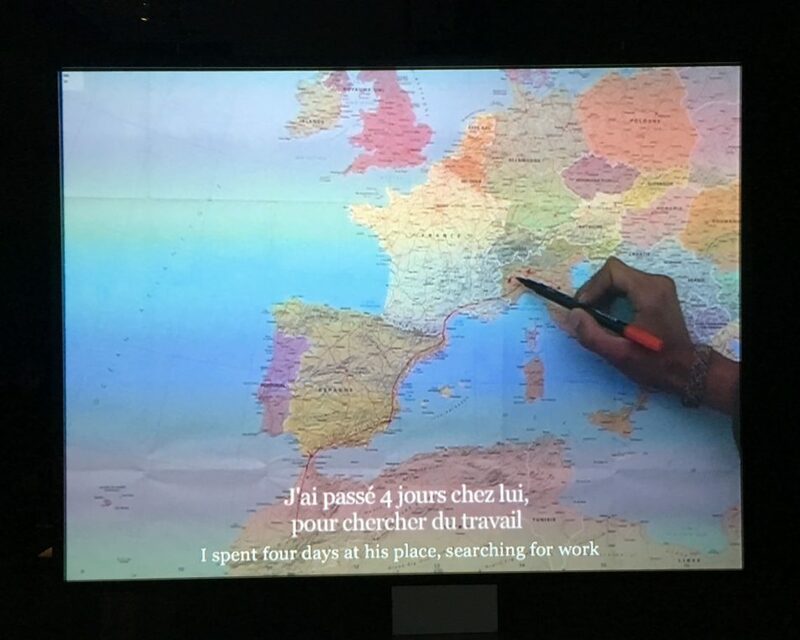 For the Moroccan born French artist has spent time around the world meeting with Filipinos, Africans, Americans, Greeks, Cubans, travelers of all kinds, and drawing a human map of immigrants who tell their story in 25 languages and dialects. She is beautiful and sophisticated, yet there is nothing fragile about her. The Mapping Journey project, the Constellations Series, the Seaman, the Wet Feet series, the Speeches Series, Foreign office, all deal with emigration, harbors, boats, crossing the seas… And when I questioned her on her obsession of boats and harbors, she answered about her love for the “croisements” crossings between people and encounters of populations. 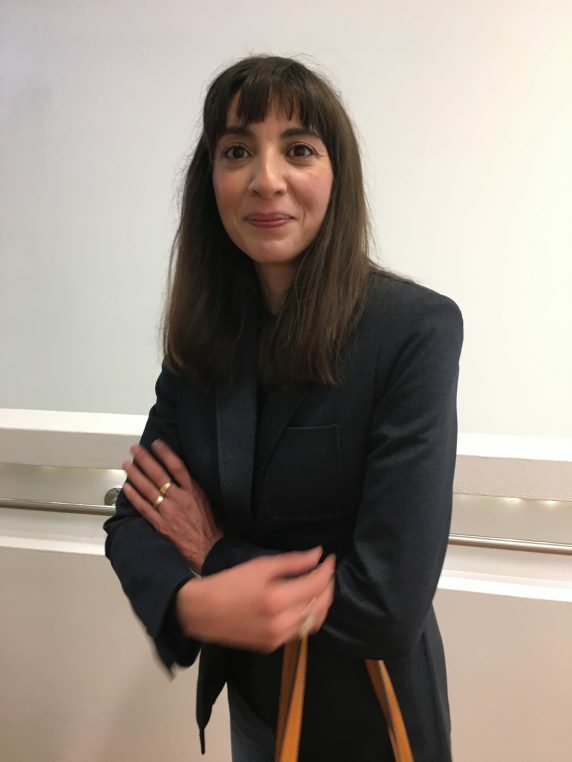 Whether she interviews young Greeks in 2017 on the political situation in their country and giving citizenship to migrants who crossed the Mediterranean (in the Tempest Society) or recreates Jean Genet’s visit to America in May 1970 through the eyes of two African Americans, Bouchra Khalili questions history and racism, power of speech and images but mostly being a citizen of where you are. She lives between Oslo and Berlin and has a dual Moroccon and French education. 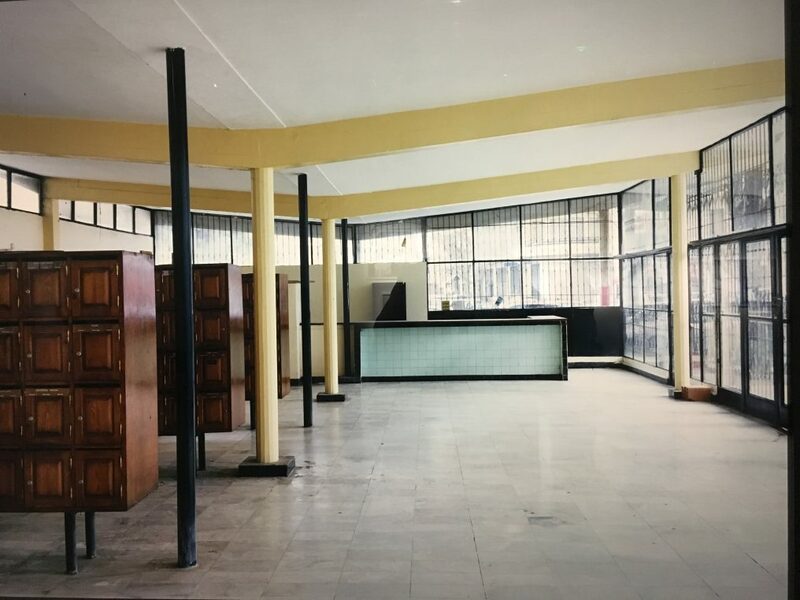 Her series of photographs “Foreign office” takes place in Algiers at the headquarters of ANC (African National Congress), where she observes the formal halls as well as the playground. The pictures are stern and almost Stalinist in style. But my favorite graphics are the blue maps of the “Constellation” series. 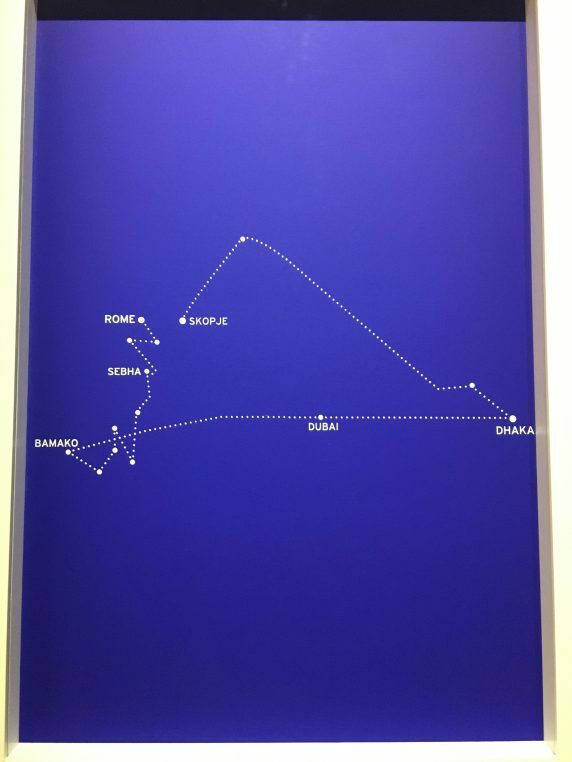 Eight silkscreen prints reproduce the itineraries of migrants in the form of a constellation. It is both very poetic and very tragic. Sailors and navigators use the celestial cartography to locate themselves on the sea. 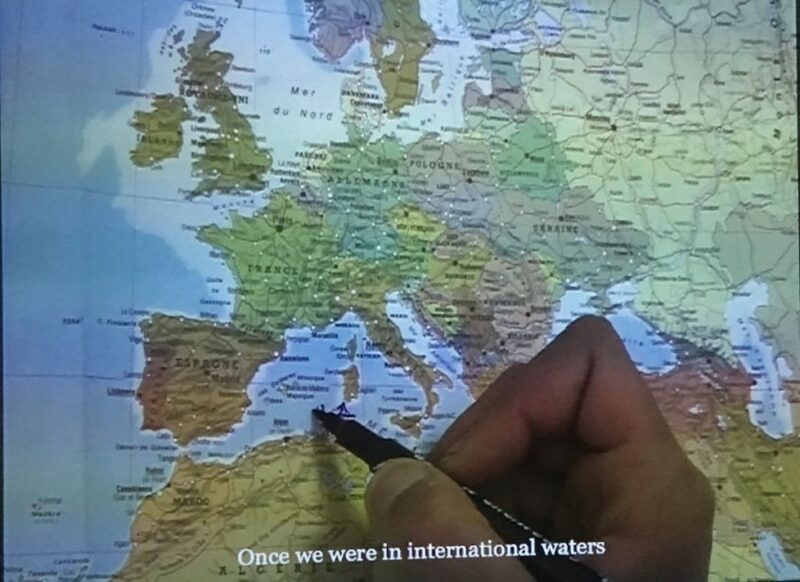 “The artist is charting the displacements of migrants and overturns the cartographic order in merging sky and sea”. Another interesting series is that of “The Wet Feet”, 2012, nine photographs shot in Florida on Cuban migrants arriving by boat. 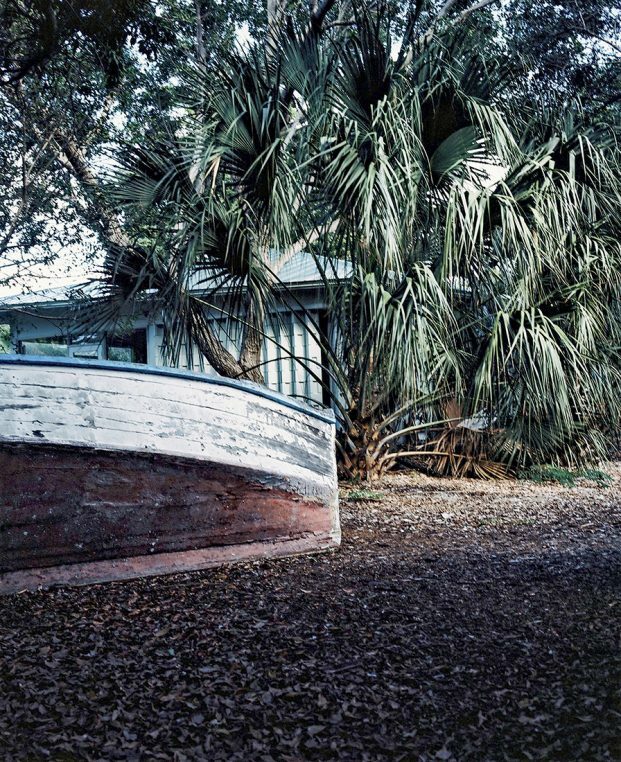 The photographer describes the work of time on abandoned boats, degraded containers on the Miami river and reflects over the lost American dream of the “wet feet/dry feet” politics. I hope I have convinced you that this show is important and brilliant. It is hanging on the first floor of the museum.